The village of Trépail is unusual in the Montagne de Reims in that it is planted almost entirely with Chardonnay. 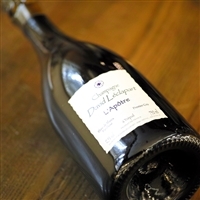 Since establishing his 3ha domaine in 1998, David Léclapart has been making the finest contemporary examples of this terroir. Chardonnay-biodynamique 100% from 0.32ha special parcel planted in 1946, fermented in used barrels purchased from Domaine Leflaive. Non-dosage, released after 48-50 months ageing in bottle. Production : 3,000 bottles/year. Herve Jestin partnered with Benoit Marguet to create this wine, the first ever certified organic prestige Champagne blended from across the region. They released same wine with two different labels. One is Champagne Jestin, the other one is Sapience/Marguet. Grapes are from the fellows of Hervé Jestin, Vincent Laval(Cumières, PN&PM, Biologic) and David Leclappart(Trépail, CH, Biodynamie). The wines were vinified in the cellar of Marguet. Hervé Jestin and Chamapgne Jestin. Hervé Jestin is the key-person in Champagne, leading many producers to natural wine-making, and he produces "Champagne Jestin". This monumental works "Champagne Jestin" is made from Trépail Chardonnay from David Léclapart and Cumières Pinot Noir from Vincent Laval.